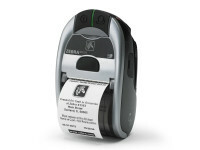 Get the benefits and value associated with Zebra with the MZ series of economical receipt printers. 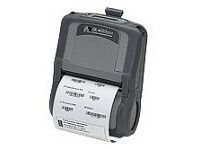 These easy-tooperate mobile receipt printers are a great first step for users looking to replace pen and paper documentation, pre-printed receipts, or unreliable mobile printers. 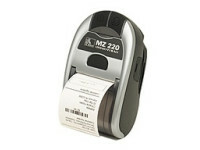 Each tiny MZ printer can be a smart assistant for any mobile receipt printing application where you need quick, simple receipts on demand. 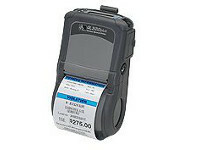 Use Bluetooth® 2.0, IrDA®, 802.11b/g or USB to connect to a handheld or smart phone device and produce crisp, clear receipts! 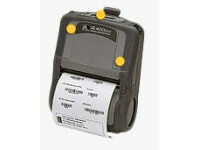 Ideal for These Applications Mobile Point of Sale / Scan a basket of goods and print a barcoded receipt to reduce the amount of time a customer is at the register. Direct Store Delivery & Route Accounting / Quickly print receipts, invoices, orders, proof of service or delivery and other documents, saving customers wait time. Hospitality / Speed lines and capture more sales. Accept mobile payment in theme parks, in arenas or at tableside. Transportation / Provide convenience for your passengers – Print tickets or payment receipts in taxis, trains, boats or buses! Spain, Norway, Italy, CP850, UK, Latin9, Chinese (Simplified & Traditional), Japanese and Korean supported in 16 x 16 and 24 x 24. Thai (scalable) CP874. Others upon request. • 2-Dimensional: Aztec, Maxicode, PDF-417, QRCode, GS1 DataBar™(RSS) family † Contains UFST from Monotype Imaging, Inc.
strongly recommends the use of genuine Zebra supplies as part of the total solution.